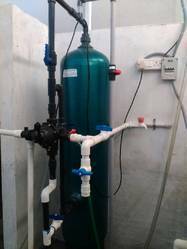 The 10000 LPH RO Plant are made by using premium quality material and advance technology. Our products are highly admired for their quality and longer life. These are obtainable at leading market prices. We are one of the manufacturer, supplier and trader of RO System. We are offering Industrial RO Systems-250LPH as our products in commercial market. 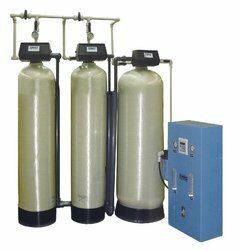 Our Reverse Osmosis systems come assembled, factory tested and in ready-to-operate condition. They are designed for efficiency and are simple to operate and maintain. Fostered with a team of highly experienced professionals, we have been able to manufacture and supply excellent quality LPH RO Plant (500). 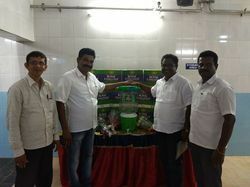 The offered plant is utilized for purification of water through reverse osmosis process and makes it drinkable. This plant is manufactured under stern guidance of our team of experts using quality tested components and advance technology. 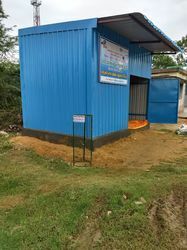 Furthermore, clients can avail the provided LPH RO Plant (500) from us in different specifications at industry leading price. 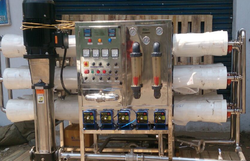 We are the leading manufacturer of Reverse Osmosis Plant. The Ro Plant is manufactured by good quality of raw material. we can supply this Ro Plant to our client as per their requirement. High grade material and components are used for the manufacturing of our range ensures their durability. UWSP community water systems provide safe, high quality water to under-served rural and urban communities at a price that is affordable to all. One of the key elements is providing superior service and quality checks to ensure that the quality of water is consistent throughout the life of the project. · The operating and maintenance costs of the system. Ultra collects affordable user fees (Rs. 0.20 to 0.25 per liter or Rs. 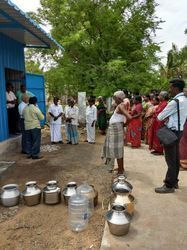 4 to 5 per 20 liter- can, depending on the level of water contamination) which ensure the self-sustainability of the project over time.